Michael Jordan has made another major donation, pledging $5 million to the Smithsonian's new African-American history museum on the National Mall. "I am grateful for the opportunity to support this museum," Jordan said in a statement. "I also am indebted to the historic contributions of community leaders and athletes such as Jesse Owens, whose talent, commitment and perseverance broke racial barriers and laid the groundwork for the successful careers of so many African Americans in athletics and beyond." 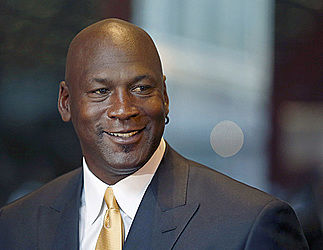 "We are extremely grateful to Michael Jordan for his game-changing support," Bunch said in a statement. "His gift will enable our visitors to explore how sports were used to break barriers as a way to gain full participation in American society."